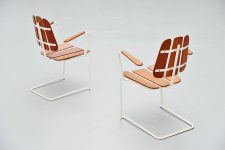 Very unusual pair of cantilevered garden chairs made in Sweden 1960. 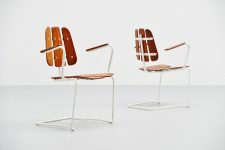 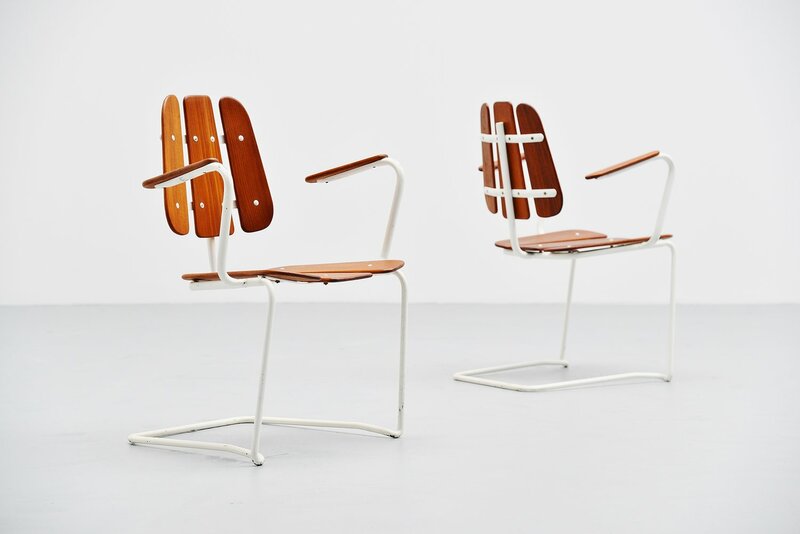 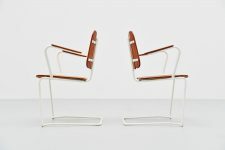 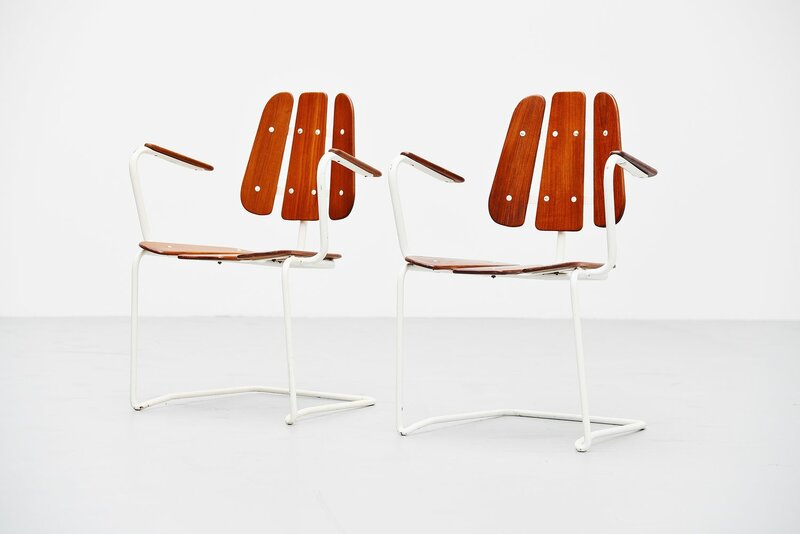 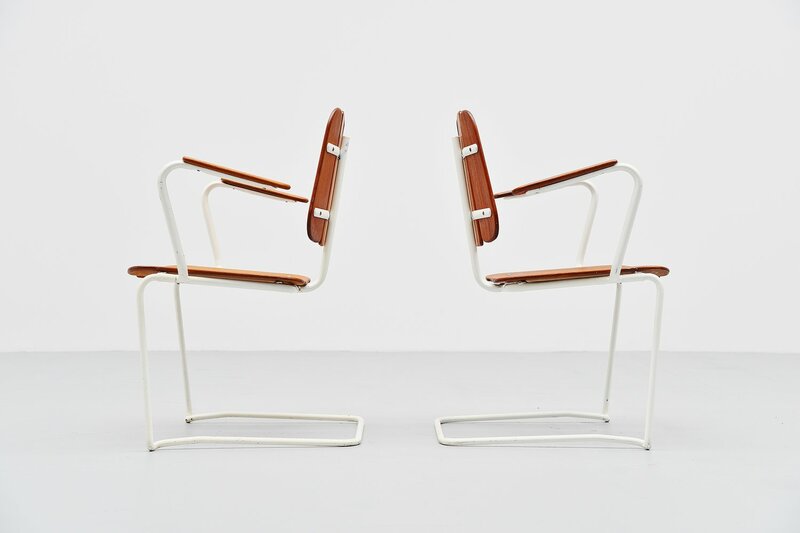 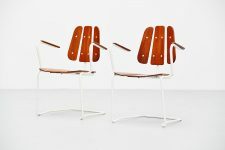 These chairs have an off white lacquered tubular metal frame. The seats and backs are made of solid teak wooden slats. 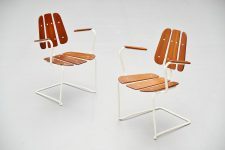 The chairs are in very good original condition and were designed as Garden chairs. 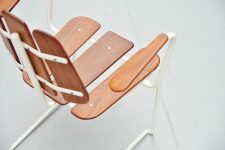 Because of the solid teak wood and the brass nails, lacquered in white metal this is resist for outdoor usage. 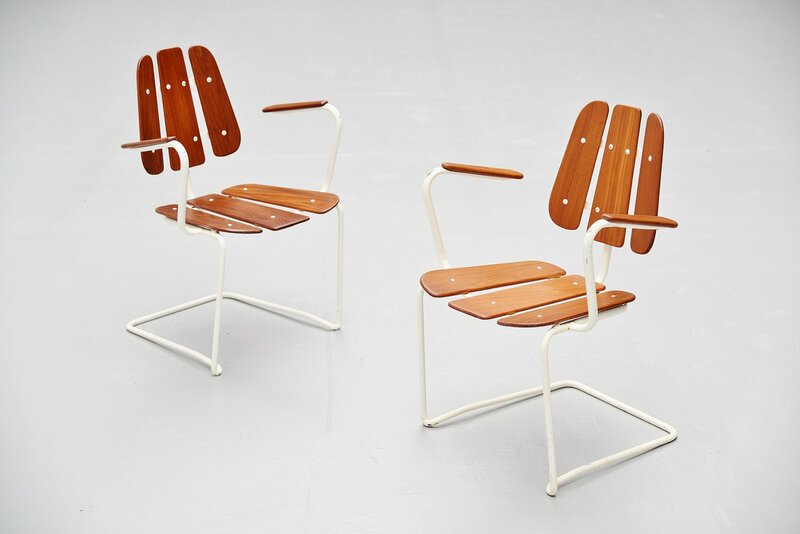 Very nice patina on these chairs. 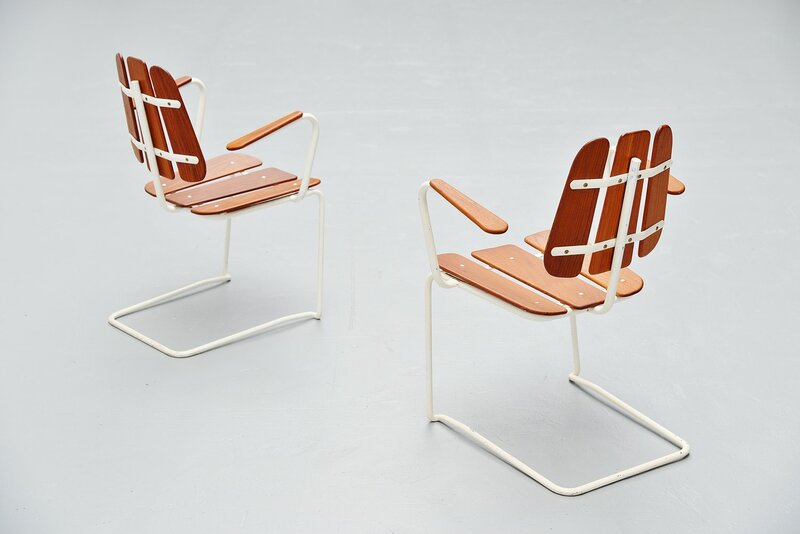 Would look great outside next to a swimming pool or something.